Lucy Yang reports that police have released the suspect's identity. CHELSEA (WABC) -- Police have made an arrest after a pregnant woman was attacked in the building where she worked earlier this month. According to the NYPD, Darryl Guillyard faces multiple charges in an attack on 22-year-old Lakeeya Walker earlier this month. Guillyard, 32, held the door for her and when she didn't say thank you, Guillyard is accused of throwing a cup of coffee in her face, tossed her to the ground, choked her and kicked her. Walker suffered minor injuries but her fetus is OK. 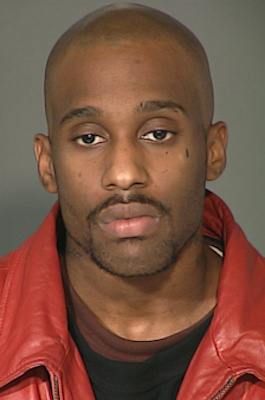 The assault happened on March 5 at the Elliott Houses on 26th Street in Chelsea. "He picked me up off the ground, has his hands around my neck," said Walker, an NYCHA worker. "He would've got more hits, but I was dodging him, not staying still, so he would have a landmark up." She said she was savagely punched in the face and kicked in the stomach while working a. Most frightening of all, she is nine weeks pregnant. "He was basically saying, 'I'm going to kick that baby out of your womb,'" Walker said. Walker had just finished shoveling and sprinkling salt when she tried to enter the building. She says a tenant let her in. But she didn't say thank you. Lakeeya claims that's when he threw hot coffee on her face followed by fists and feet. While an attack on a pregnant woman is horrible enough, she is convinced it was not about not saying thank you. Walker fears she was set up by another NYCHA worker with whom she had an earlier conflict and this is how it was settled. "She stood across the street the whole time and did nothing," Walker said. NYCHA issued a statement Friday night saying, "We are providing assistance to the employee and cooperating with the authorities as they investigate this appalling crime." "I had a blood clot by the baby's head," Walker said. Darryl Guillyard is 32 years old, 5'10" tall, and weighs 190 pounds. He's wanted for the attack on a pregnant woman in Chelsea. A NYCHA spokesperson wouldn't comment on the claims that another worker was behind the attack, but did report they have since reassigned Lakeeya. She tells me her baby should be fine.